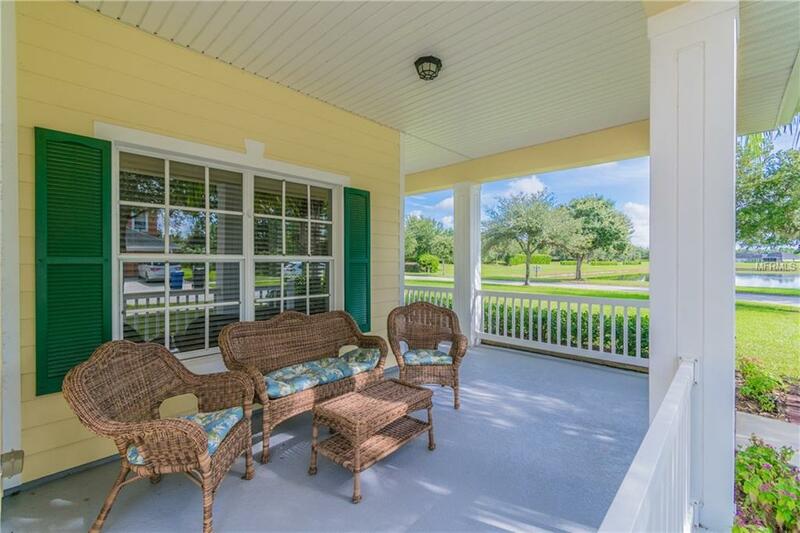 This lovely Live Oak Preserve at Cedarwood Village home can, at last, be yours. A great find on its amazing corner lot with the beautiful lake view. Move in Ready. The home is located in an amenity-rich neighborhood with its water park and multi-lap pool, tennis, playground and community center for all your large events. Sit on the wrap porch and enjoy the view. Enter the formal living area with crown moulding, gas fireplace that is enjoyed by the family room as well. Open formal dining and kitchen are superb for entertaining. The kitchen has lovely Silestone quartz counters. Tucked behind the kitchen is a breakfast room with a view. The office has a panoramic view and is away from bedrooms allowing private work environment. Family room has triple sliders out to the patio. Master has a very large walk-in closet. Master bath is spacious with neutral fixtures, his and hers vanities, soaker tub and separate shower. Home has two guest bedrooms, one has its own large walk-in closet. Both split from master. Shared guest bath also, with neutral fixtures, has lots of countertop space. This one owner home has been well maintained and is move-in ready. Ample attic space for those seasonal items. The garage is currently converted into a work-space but seller will take out separator wall if desired by the buyer with a great offer (wall is not load bearing). Laundry room is inside located just off kitchen. This home is in a quiet area away from traffic noise yet very close to shopping and restaurants. Additional Water Information Beautiful Water View Of The Large Pond Across The Street From Front Porch.